If there was a giant table strewn with every cake, brownie, custard, and pie, ever, I’d be the first in line. But I wouldn’t be there to eat them. Not initially. I’d be there to soak in their beauty, to enjoy the geometry. Circles, rectangles, towers of truffles. Cubes, even. I’d languish to revel in the colors – chocolate browns, raspberry reds, vanilla-cream whites, mint-leaf greens, passion fruit golds. I’d eat with my eyes until ever bit of my spirit was nourished. Then I’d sink my teeth into the sweetness. When I happened upon Ledene Kocke, I fell immediately for the geometry; a grid, stacked in shades of cocoa and cream. Little did I know, translating the recipe would hold it’s fair share of challenges. I so wanted to make the recipe, though. With cold, hard stubbornness I powered through and, in the words of Tim Gunn, I made it work. 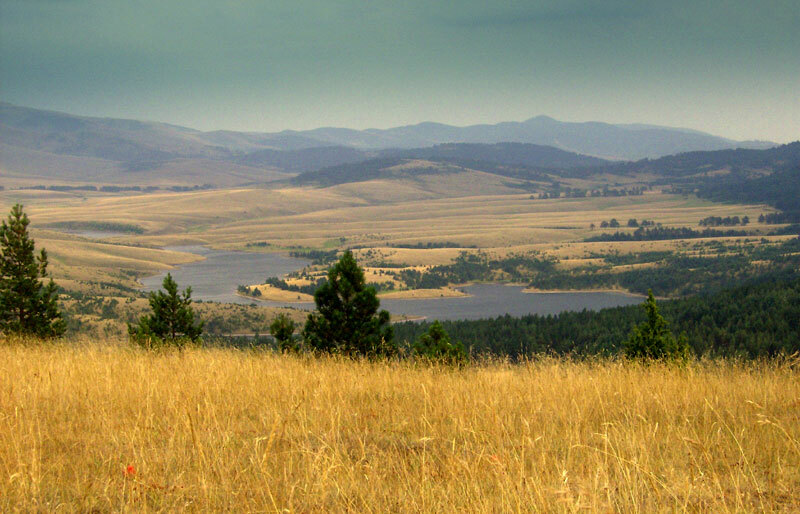 Zlatibor,Serbia. Photo by Nevena Kukoljac. Let’s start by talking about the name. Ledene Kocke. Translators generally make this “Ice Cube Cake” which is completely adorable. It was only after I thought about how the cake is made, that I realized this may be a faulty translation. Cube and box are the same shape. 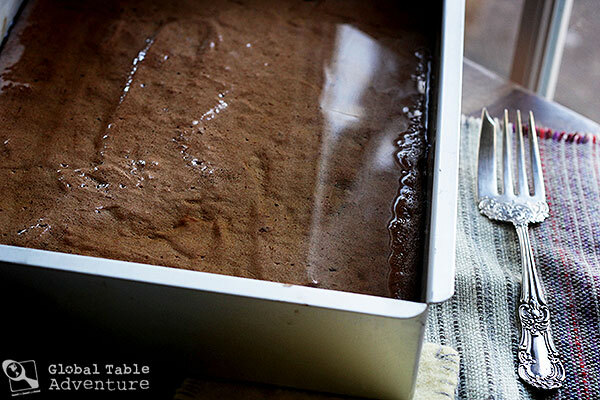 Could this cake actually be an “Ice Box Cake”, as in, the cake spends quite a bit of time chilling out? 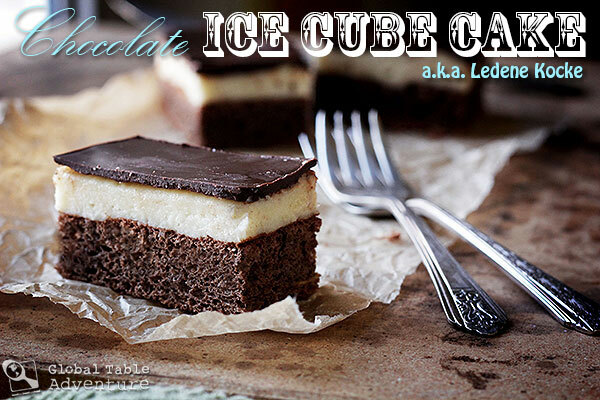 Either way, I went with Ice Cube Cake, because the name makes me hungry and smile, all at once, and that’s what great recipes should do. So what is Ledene Kocke? She boasts a light, chocolate spongecake base that’s drunk up a happy amount of orange blossom infused syrup. For those of you with Valentine’s Day on the mind, rose water is another traditional addition. Either way, this is a garden of goodness for your mouth. She’s then topped with a thick vanilla custard. Finally, she’s got a deep, dark chocolate topping (in a pinch, a dusting of cocoa powder works great here, too). First, find a dreamy sort of spot to make a cake. Somewhere that makes your heart smile. 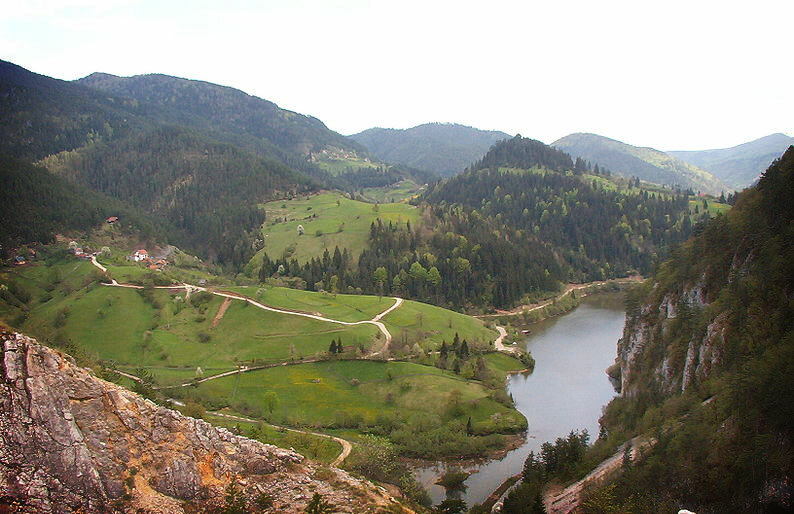 Perućac Lake, on Tara Mountain, Serbia. Photo by Корисник. Let’s make this cake in stages. Heat up the milk, sugar and vanilla extract until steaming. Meanwhile, ladle enough milk into the flour to create a thick slurry. Pour it back into the milk mixture and heat until it resembles thick vanilla pudding. Be sure to whisk well as you go, so that lumps do not form. Let cool completely, then beat in the butter. 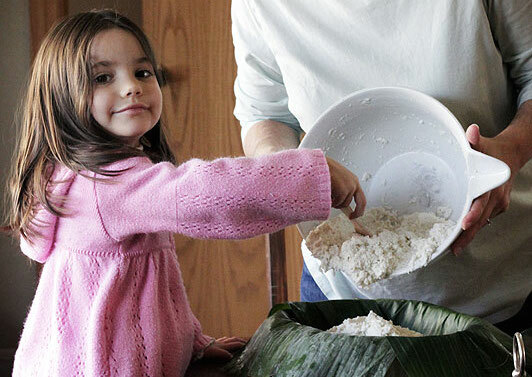 In a large bowl, whisk together the cocoa, flour, and baking powder. Next, Beat the egg whites until foamy, then gradually add the sugar until glossy, stiff peaks form. Do your best not to do laps in those luscious white waves. Next, fold the golden balls of sunshine, a.k.a. egg yolks, into the egg white mixture. Now, fold the cocoa mixture into the egg white mixture. Spread the thick, fluffy cocoa brown batter into the cake pan. Bake about 25 minutes. Meanwhile, write a thank you note to someone you love. It’ll make their day! 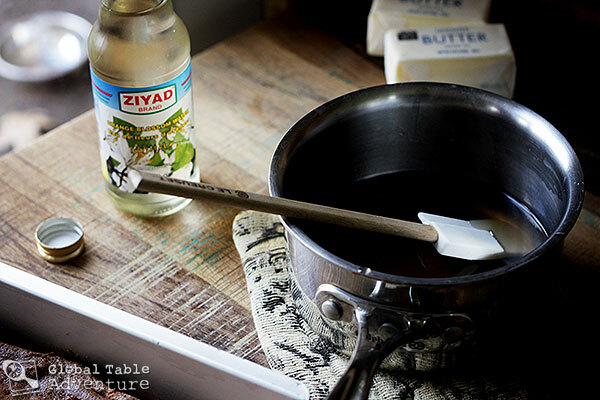 Simmer the sugar, water, and orange blossom water (or rose water) until the sugar dissolves, about five minutes. Sneak a taste of this sweet elixir. … you have your very own swimming pool. Let sit until completely absorbed. 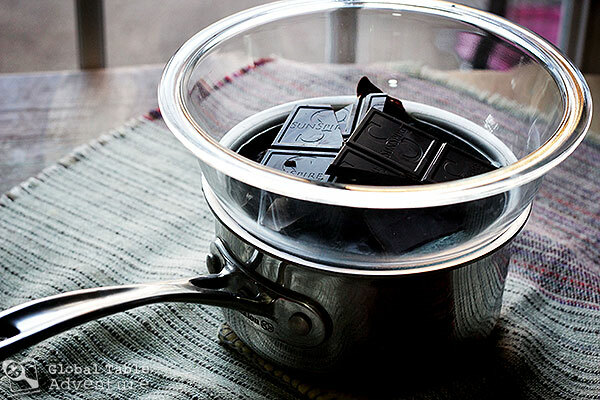 Melt the chocolate over a double boiler and stir in the oil. NOTE: The first time I made this cake, I didn’t use enough oil, so it was too brittle to cut nicely (that’s what I get for trying to be healthy!). I adjusted the recipe, so your topper might look a little different than mine. Top the cake with the cooled custard cream, spreading it out evenly with a spatula. Then pour on the chocolate topper and smooth it out. Deliciousness. You can also just dust on cocoa powder if you don’t want to mess with the chocolate (it will look like the top of a piece of Tiramisu). 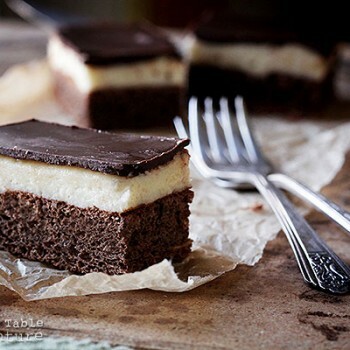 Refrigerate until the chocolate sets, then slice into squares. … so, go on, have a party! Love to you, my friends… have a beautiful day! Heat up the milk, sugar and vanilla extract until steaming. Meanwhile, ladle enough milk into the flour to create a thick slurry. Pour it back into the milk mixture and heat until it resembles thick vanilla pudding. 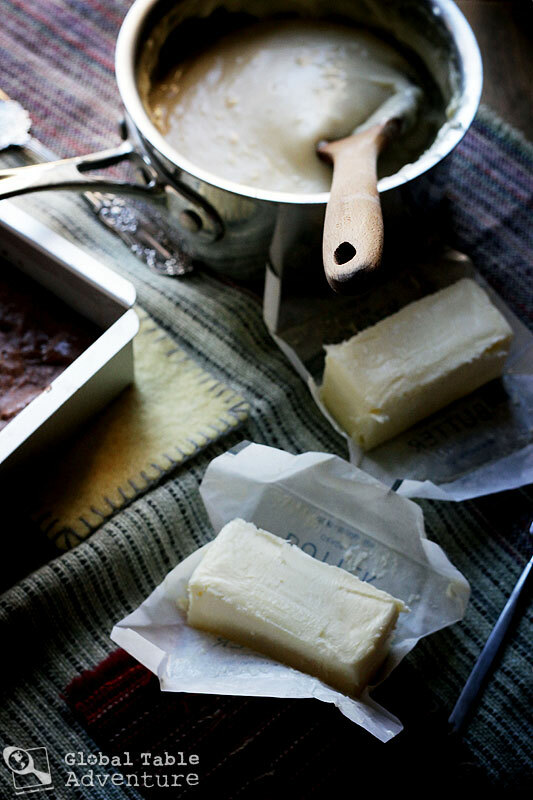 Be sure to whisk well as you go, so that lumps do not form.Let cool completely, then whisk in the butter. Preheat the oven to 350F. 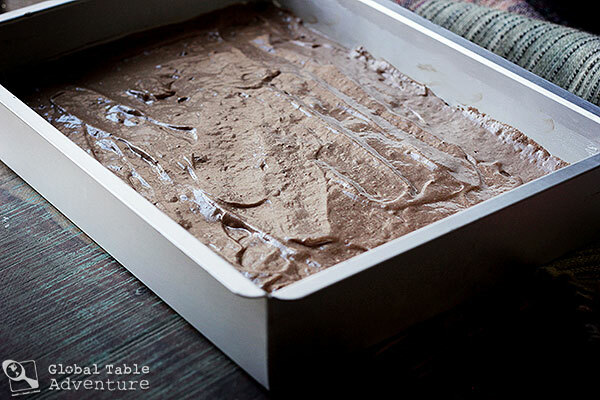 Grease a 13×9 cake pan generously with butter.In a large bowl, whisk together the cocoa, flour, and baking powder. 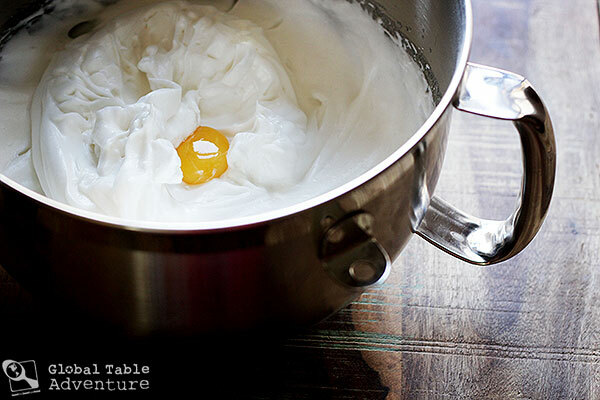 Next, Beat the egg whites until foamy, then gradually add the sugar until glossy, stiff peaks form. Fold in the egg yolks. Fold the cocoa mixture into the egg white mixture. Spread the thick, fluffy cocoa brown batter into the cake pan. Simmer the sugar, water, and orange blossom water (or rose water) until the sugar dissolves, about five minutes. Then, use a fork to poke a few holes on the cake. 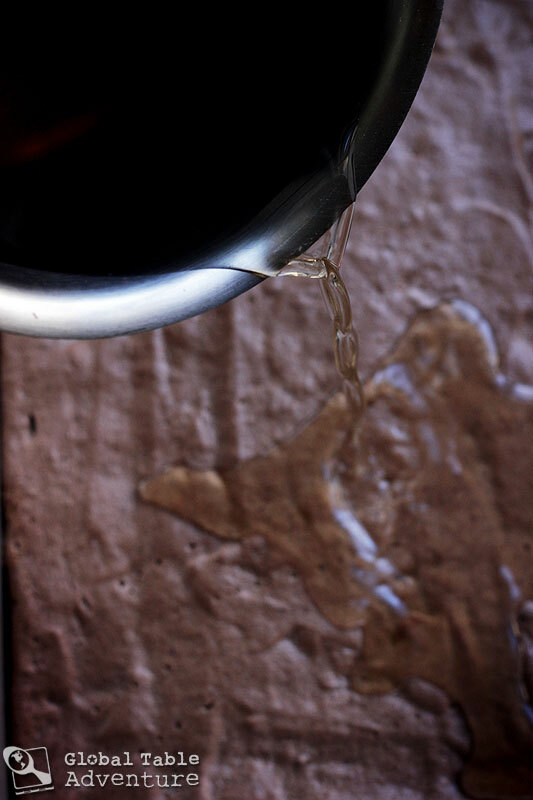 Pour the syrup over the hot cake until…you have your very own swimming pool. Let sit until completely absorbed. 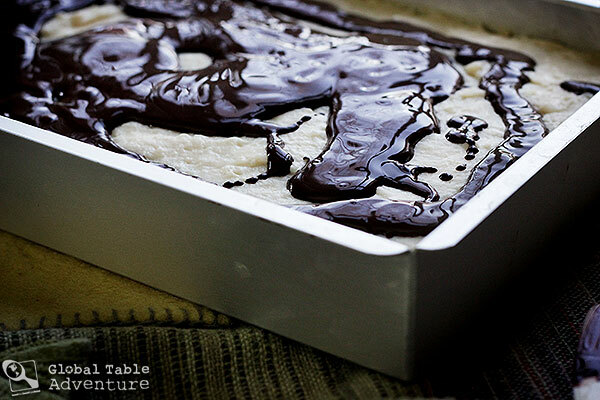 For the chocolate topping: Melt the chocolate over a double boiler and stir in the oil. Set aside to cool until lukewarm. Top the cake with the cooled custard cream, spreading it out evenly with a spatula. Then pour on the chocolate topper and smooth it out.You can also just dust on cocoa powder if you don’t want to mess with the chocolate (it will look like the top of a piece of Tiramisu). 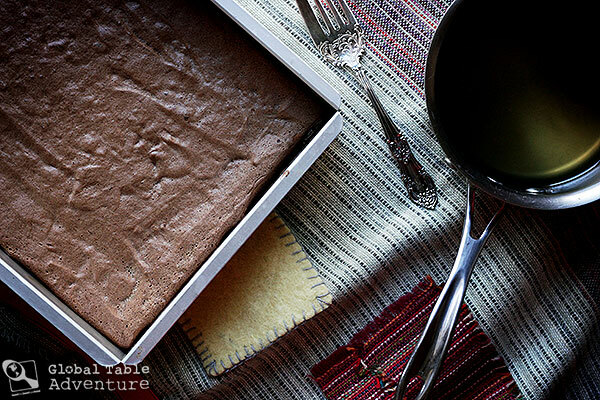 Refrigerate overnight to set the chocolate, then slice into neat squares. Your amazing photography was what first drew me into your blog, but now I’m totally in it for the writing -gorgeous! What kind of oil do you use in the chocolate topping, Sasha? Fabulous! It’s in the oven right now. 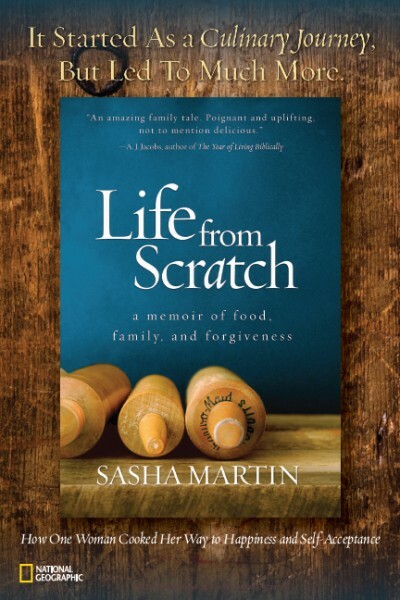 I am in love with this project, this life changing adventure, this labor of love you and your family are on. 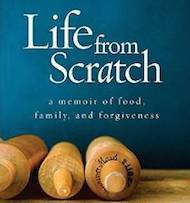 I am looking forward to cooking many more meals that you share with the world! Looks good! 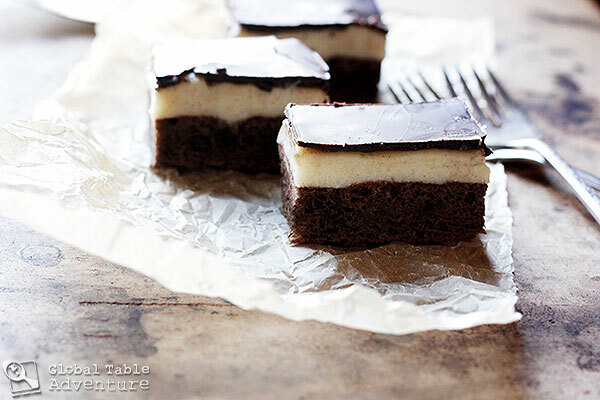 Almost like a nanaimo bar but with cake instead of chocolate/coconut crust. Say whaaaat?! It’s like a Canadian national dessert. Okay, maybe butter tarts are our national dessert but this comes in a close second place. Chocolate spongecake is a delicious item which I like the most, and the photography of yours have increased my interest on it. Ledene kocke is in Croatian, and I’m Croatian so I can tell you that it definitely means ice cubes and not ice box 🙂 My mom has been making this cake ever since I was a little kid. There are different variations of it, but of course, I like my mom’s best 🙂 She doesn’t put anything besides water and sugar in the syrup, and for the custard she first makes vanilla pudding, lets it cool, mixes up some whipped cream, and combines the two. Deliciousness! Ah-ha! 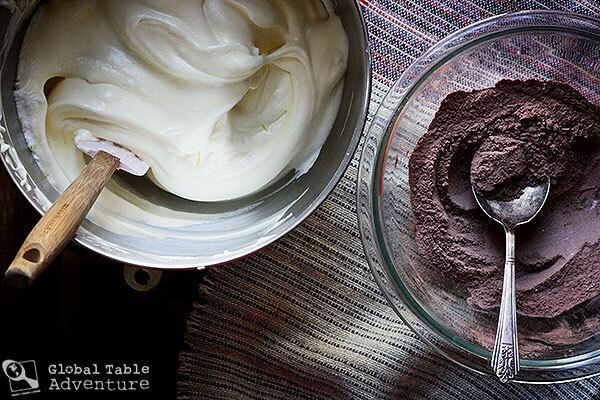 I like the idea of folding the whipped cream into pudding… it must be very light and ethereal! OH, my stars. I’m in heaven. I grew up on this cake 🙂 Thanks for sharing… I need to make this asap! sounds delish! your pics are great. As beautiful as your pictures are, and as delicious as this cake sounds and looks…I don’t mean to offend you, but it was a massive disappointment. I followed all of the directions to a T, with the exception of one step that had awkward wording (making it hard to completely understand), and I, sadly, and really let down. Thank you for the recipe, it’s a beautiful cake and your pictures are gorgeous. I discovered your website today and I love it- this just wasn’t my favorite. this is the first cake I have ever made!! My husband has requested ledene kocke, but trying to convert the Serbian recipes to American measurements was making me bananas! Thank you for posting this, can’t wait to try it out this week! Hi. Thank you for your recipes, they are great. I tried today this Ice Cube Cake, and it’s delicious. The only problem that I had was at the end, after is cold, I tried to cut in tidy pieces but the top layer of chocolate breaks. How do you manage to cut it keeping the top rectangle of chocolate perfect? Should I try to cut it while is still not solid? Do you use natural coco or Dutch processed? I used natural coco but it doesn’t look as dark as in your photo.